In this experiment, we focused on both sensory and chemistry evaluation of very young Chenin blanc wines. On the chemistry side, 3MH and 3MHA were measured. On the sensory side, attributes from the labels and tasting sheets of the wines were compared to those generated by an in-house panel in a Check-All-That-Applies (CATA) exercise. 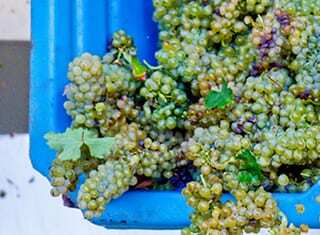 In view of the increased interest in the Chenin blanc wines of South Africa, new research has focused on various aspects related to wine composition and cultivar characteristics. Recently, the presence of thiols was demonstrated in Chenin blanc wines. (1) The impact and relevance of these compounds are of outmost importance for the local wine industry. The field of wine sensory science is vibrant and offers a wide variety of methodologies that can be employed to understand the role of thiols’ perception in the aroma of Chenin blanc wines. The thiols 3-mercaptohexan-1-ol (3MH) and 3-mercaptohexyl acetate (3MHA) generally confer pleasant fruity notes to wines. Since thiols are sensitive to degradation by oxidation, it is important to see from which level these compounds start in young wines, and if the attributes associated to these levels play a role and make a difference in the young wine character. This means that, if very young wines contain a higher amount of these compounds, then the aroma attributes associated with these compounds will be at their highest. This is especially true for 3MHA, which is more prone to degradation than its corresponding alcohol, 3MH. Levels of 3MHA are known to decrease rapidly in wines in the first six months due to oxidation and hydrolysis,(2) while levels of 3MH initially increase, but then decrease following a similar pattern to 3MHA. Commercially available young 2016 South African Chenin blanc wines were selected based on the winemakers’ recommendations and tasting notes for attributes associated with thiols, such as ‘guava’, ‘passion fruit’, ‘gooseberry’ and ‘grapefruit’. Twenty wines were analysed for thiols (3MH and 3MHA) using a commercial accredited laboratory (Vinlab, Stellenbosch). A panel of 15 experts tasted a subset of 15 wines in duplicate using Check-All-That-Apply (CATA) method. The tasters could choose attributes for each wine from a comprehensive list associated with Chenin blanc. Attribute frequency was used to generate the data not only from the tasters, but also from labels/info sheets. What does thiol analysis show? The levels of 3MH varied between 189 – 1 649 ng/ℓ (average 664 ng/ℓ) and 3MHA between 26 – 936 ng/ℓ (average 288 ng/ℓ) (Table 1). The values are especially high for 3MHA, which is more prone to degradation than 3MH. These high levels are rather surprising and very comparable to the ones previously found in commercial South African Sauvignon blanc. (3,4) We must not forget, though, that the wines were specifically selected based on attributes generally associated with thiols, so these results are not necessarily indicative of all Chenin blanc wines on the market. TABLE 1. Thiol levels and ratios. The ratios between the two compounds ratios varied between 1.5 and 7.3, therefore they were not constant. There was no trend observed for the wines evaluated. Consequently, it can be concluded that we cannot estimate the concentration of 3MH from the concentration of 3MHA or vice versa. Analysis of information given on back labels and tasting notes showed general attributes associated with Chenin blanc wines, such as ‘guava’, ‘tropical’, ‘fresh and fruity’, ‘apricot’, ‘honey’, etc. Other featured terms are not usually employed in sensory evaluations, but reflect the winemakers’ and buyers’ lexicon, such as ‘lively’, ‘zesty’ and ‘elegant’ (Figure 1). FIGURE 1. Word cloud representation of the frequency of citation data captured from the labels and info sheets. It is known that, even in very low concentrations, thiols can strongly influence wine aroma. This is due to the very low odour threshold these compounds have: 60 ng/ℓ for 3MH and 4.2 ng/ℓ for 3MHA. (5) Considering the chemical analysis results, it was evident that thiol-related attributes will feature highly in the wine descriptors. 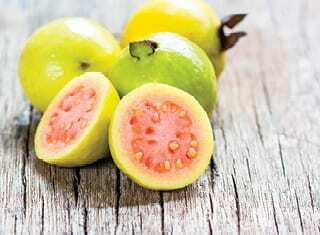 As expected, some of the more prominent attributes found are the ones associated with thiols, ‘guava’, ‘grapefruit’, ‘passion fruit’ and ‘tomato leaf’ (Figure 2). The interesting fact is, though, that these attributes are present regardless of the level of measured thiols. So wines with higher levels of these compounds were perceived similarly to wines with lower levels. In other words, differences based on thiol levels were not found to reflect in the frequency of descriptors used by the assessors. 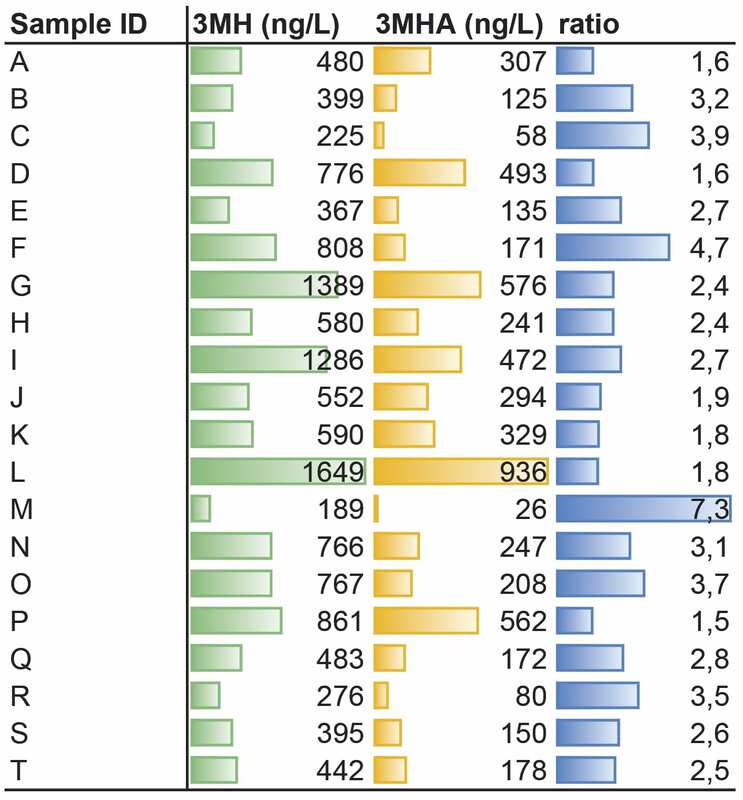 This is illustrated by the fact that overall attributes for the wines (Figure 2) are very comparable to the attributes for the wines with highest (Figure 3) and lowest (Figure 4) thiol levels. Moreover, the wines with the highest and the lowest thiol levels are not only described in similar terms, but also these terms appear just as often in the description of one as of the other. This suggests that concentrations of thiols above a certain level might not necessarily result in a proportional increase in aroma intensity. FIGURE 2. Word cloud representation of the frequency of citation for general descriptors by experts for the sample set. FIGURE 3. Word cloud representation of the frequency of citation by experts for Sample L (highest thiol levels, 1 649 ng/ℓ 3MH, 936 ng/ℓ 3MHA). FIGURE 4. Word cloud representation of the frequency of citation by experts for Sample M (lowest thiol levels, 189 ng/ℓ 3MH, 26 ng/ℓ 3MHA). The results of this research contribute to the sensorial and chemical characterisation of South African Chenin blanc wines, as part of a larger research programme undertaken at the Department of Viticulture and Oenology at Stellenbosch University. Results obtained through wine aroma research can ultimately contribute to wine quality by broadening a winemaker’s knowledge and ability to produce wines with desired aroma characteristics. Greater understanding of the compounds responsible for differences in wine aroma is reached through the combination of chemical and sensory analysis. 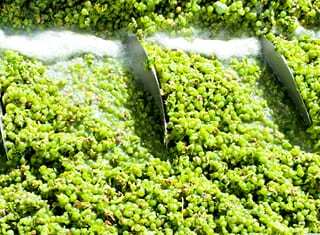 The knowledge that thiols are present in Chenin blanc wines, together with existing research on practices affecting thiols, can be used for viticultural and oenological decisions made in the future of Chenin blanc winemaking. The attributes that thiols impart to the sensory aspects of wine are considered positive, and winemakers want to preserve them for as long as possible. Since thiols are sensitive to degradation, it is important to see from which level these compounds start in young wines, and if the attributes associated to these levels play a role and make a difference in the young wine character. Twenty young 2016 South African Chenin blanc wines (not older than one month from bottling), commercially available, were analysed. 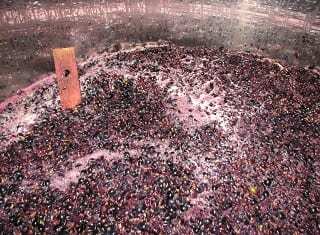 The wines selected were chosen based on winemakers’ recommendations and tasting notes for attributes associated with thiols, such as ‘guava’, ‘passion fruit’, ‘gooseberry’ and ‘grapefruit’. All 20 wines were analysed for thiol content, which ranged from 189 – 1 649 ng/ℓ for 3MH and 26 – 936 ng/ℓ for 3MHA, respectively. Fifteen of the wines were chosen for sensory evaluation using Check-All-That-Applies (CATA) method from a comprehensive list of attributes associated with Chenin blanc. A general list of aroma descriptors was generated for the entire sample set and for individual wines. Contrary to what was expected, sensory attributes associated with thiols and generated by the assessors did not always correspond to thiol levels found in the wines. Piano, F. et al., 2015. Development of a novel liquid/liquid extraction and ultra-performance liquid chromatography tandem mass spectrometry method for the assessment of thiols in South African Sauvignon blanc wines. Australian Journal of Grape and Wine Research 21, 40 – 48. Coetzee, C. & Du Toit, W.J., 2012. A comprehensive review on Sauvignon blanc aroma with a focus on certain positive volatile thiols. Food Research International 45, 287 – 298. – For more information, contact Astrid Buica at abuica@sun.ac.za or Valeria Panzeri at panzeri@sun.ac.za.